Here's a gaming announcement that came out of nowhere: Titanfall, one of the biggest new first person shooters to appear on gaming PCs and consoles last year, will get a mobile release. The Guardian reports that Titanfall developer Respawn Entertainment (made up mostly of ex-Call of Duty developers) and Nexon (a developer that focuses on full-sized PC games that use the freemium model) will both invest in newbie mobile developer Particle City, with the aim to create "several mobile games based on Titanfall." 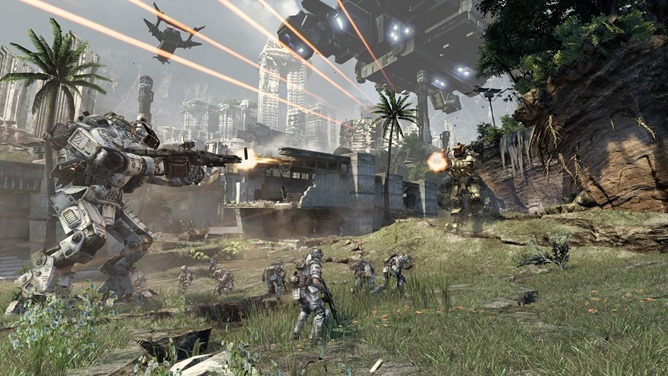 If you weren't following the gaming news in early 2014, Titanfall is an arena-based shooter that puts a sci-fi spin on the popular FPS genre.